Stone Made Drives have a wealth of valuable experience when it comes to designing and installing block-paving driveways, so there is little wonder why we should be your number one choice. Stone Made Drives, we will work with you directly, providing you with all the information you need about your block-paving project. Whether you are having a new driveway or a new patio area designed for your back garden, we can help you with the planning and the overall design making the most of the space you have. We are confident that our experienced block pavers will be able to meet your full requirements if you have your heart set on a particular pattern or combination of colours. If you are not sure what pattern to go for, then take a look at our gallery to see if there is anything there that catches your eye. Our professional pavers have had over 25 years of experience working with different materials and come equipped with all the tools and machinery needed to finish your project to the highest of standard, using different techniques to ensure a professional finish. Your new driveway and patio will be practically maintenance free and will look amazing for years to come. They will also be guaranteed for five years. 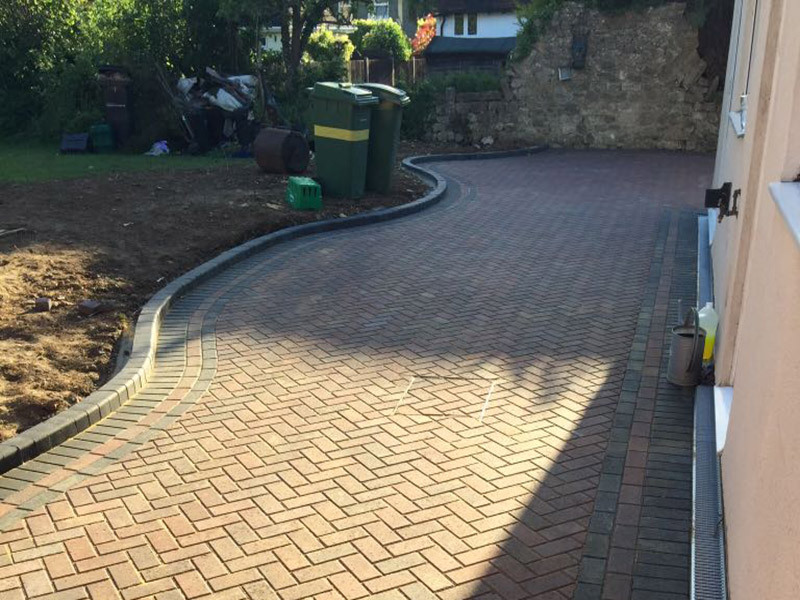 If you are after the most stylish and durable driveways throughout Kent and the surrounding areas, then pick up the phone and contact us today!